Originally touted as an appetizer, but I like it with my meal as a side instead of garlic bread. Yum! In a medium bowl, microwave cream cheese for 11/2 minutes on high. Stir until smooth. Add garlic and bacon and stir until well combined. Spread mixture over bread and sprinkle top with cheese. 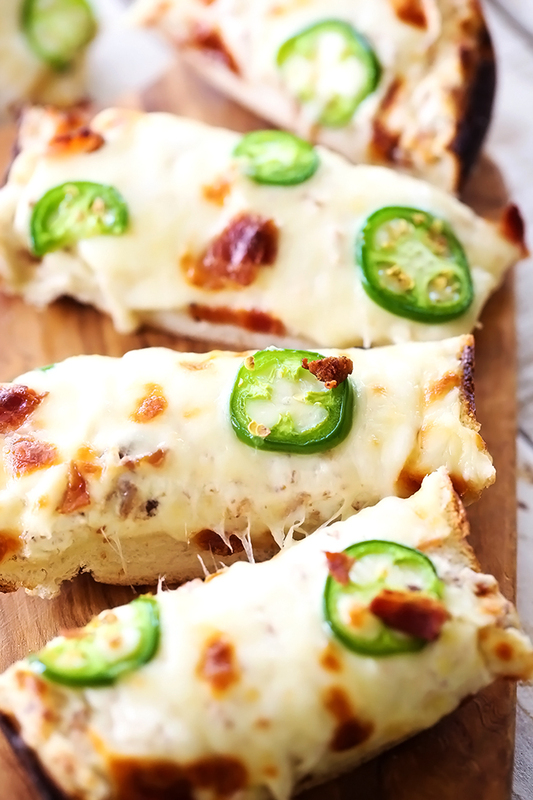 Top bread with sliced jalapeños. Line a cookie sheet with foil and place bread on foil and bake for 15 minutes or until cheese is melted and bubbly.